Welcome to the Recycled Assets Company Store. We are a Social Enterprise Company specialising in offering affordable high quality office furniture and equipment across the whole of the UK. We are located in Portsmouth, down on the South Coast. We are passionate about helping to create a Circular Economy as opposed to the traditional Linear Economy. A Linear Economy is all about make, use and dispose, whereas a Circular Economy means we keep resources in use for as long as possible. 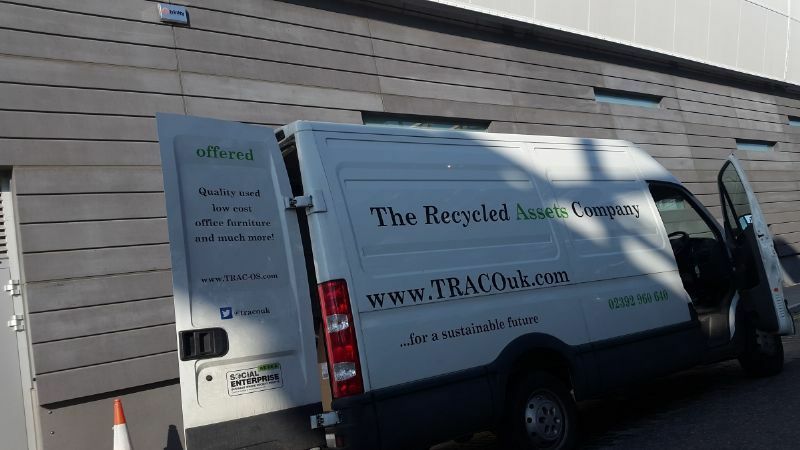 We are part of this process by re-selling good quality assets that companies no longer need rather than sending it all to landfill. We currently have a varied range of products available ranging from computers and electronics to desks and filing cabinets and everything in-between. More items are added daily. Please feel free to browse our products and give us a call if you have any questions or if you would like a bespoke quote for your office or home. We hope you enjoy your visit to our store and would appreciate any feedback via our contact form.